Welcome back to a weekly feature here at Movies With Abe. I'm going to be providing a handy guide to a few choice movies currently playing in theatres as well as several films newly released on DVD. I invite you to add in your thoughts on any films I haven’t seen in the comments below. Understandably, some weeks will have considerably fewer releases to address than others. 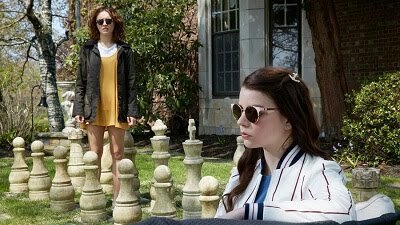 Low Down (mixed bag): Elle Fanning and John Hawkes are both great actors capable of playing a variety of characters, but this somber story of a drug-addicted musician and his daughter in the 1970s is hardly the best setting for their talents. Now playing at Landmark Sunshine. Read my review from Sundance. 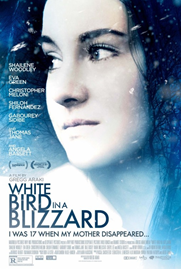 White Bird in a Blizzard (recommended): Shailene Woodley is the real reason to see this occasionally fascinating, sometimes too peculiar film that has an interesting central premise but gets distracted when it heads in a less worthwhile overarching direction. Now playing at Landmark Sunshine. Read my review from earlier this month. 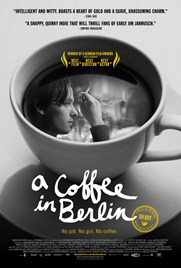 A Coffee in Berlin (recommended): This German hit is a highly enjoyable and interesting story of Niko, a young man without much motivation to make much of his life. The performances are great, and so is the story. Siddarth (recommended): This drama, which I screened as part of the South Asian International Film Festival back in December, is a stirring and emotional story about a man who goes to great lengths and personal sacrifices to track down his missing son in India. 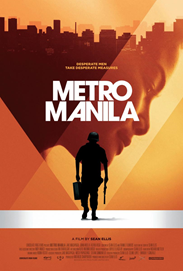 Metro Manila (recommended): This prize-winning film from the Sundance Film Festival comes from the Philippines, and is an enthralling chronicle of a simple farmer’s transformation into big city security guard with an immensely likeable protagonist.